One to one personal Training for Private Pilot’s Licence (Helicopter), PPL(H). The Private Pilot’s Licence (Helicopter), normally abbreviated to PPL(H), course consists of a minimum of 45 hours flying training. This period is split into a minimum of 25 hours with your instructor and minimum of 10 hours solo. Advanced ‘autorotative’ techniques (landing safely following engine failure). In the third phase of training you will start to really ‘use’ your helicopter. This phase includes navigation in which you learn all the techniques necessary to visually navigate yourself safely and expeditiously around the country. You will then learn how to land on sloping ground and how to safely fly your machine into and out of a restricted or confined area such as a small paddock surrounded by trees. There is also an appreciation of flying by reference to instruments alone, showing you how to safely exit cloud if entered in error. Finally, when ready and after some revision sorties, you will be put forward for your ‘final handling test’ with an examiner who will test both your flying ability and technical knowledge. Throughout the flying training we will also work you up to pass the ground school exams, recommending you all the necessary text books and ground training. The exams are not difficult by you will have to revise at home to attain the required level of knowledge. All the exams are in multi-choice format. We have an Ground School Examiner on staff to advise your on your ‘mock’ examinations and to conduct the final written tests. Although this list may at first seem daunting, once you have started training the ground school forms a logical and common sense part of the PPL(H) course. Having passed all your ground exams and final handling test you will be awarded your Private Pilots License (Helicopters). 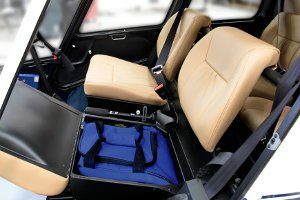 This entitles you to fly the helicopter you trained on, in visual flight conditions and to carry passengers, [but not for hire or reward], wherever you wish. When you want to fly another type of helicopter you must undertake a short conversion course including another flight test. To maintain the currency of your license you must fly a minimum of ten hours per year. Training is offered for Private Pilots Licence (Helicopters) for ab-initio and fixed wing licence holders. It is not necessary for students to have any previous experience prior to commencing the course. The Civilian Aviation Authority (CAA) requires a student to complete a minimum of 45 hours flying training: A maximum reduction of six hours is given for students already holding a fixed wing licence. Five hours solo cross country with at least one journey covering at least 100 nautical miles, with two full stop landings at aerodromes. The aerodromes must be different from the aerodrome of departure. The course is usually conducted at the Cornwall Flying Club, Bodmin Airfield, which is conveniently located beside the A30, three miles north east of Bodmin. We use the highly respected Robinson R44 Raven ll, piston powered, Four seater helicopter for flying training . The aircraft is fitted with dual controls and is a utility machine used in many different roles throughout the world. For costs please see the appropriate page. No charge is made for pre and post flight briefings. All charges are exclusive of VAT. At the end of the course you will receive your Private Pilots Licence (Helicopters) which entitles you to fly for private purposes including the carriage of passengers. Self-fly hire of our helicopters is available. A popular first step with people who want to know more about flying a helicopter is a Trial Lesson. This will give you an insight into the fun of helicopters where you will actually fly it in the hover and other flight modes. This may be included in the course total of 45 hours flying. Please do not hesitate to contact Kevin Foster for a detailed discussion of the course and for a trial flying lesson. 1a. Familiarisation of the helicopter. 2. Preparation before and after flight. 5. Power and attitude changes. 6. Straight & Level flight. 10. Basic Autorotations. [Prev 7]. 11b. Hover Taxi [Prev 8] & Spot Turns . 11c Hovering & Taxi Experience [Prev 8]. 12. Take – off and Landing [Prev 9]. 13. Transitions to and Taxi. Emergencies [Prev 10]. 14a. Circuits, Approach & Landing [Prev 11]. 14b. Steep & Limited Power [Prev 19 & 24]. 15. First solo. [Prev 12]. 16. Sideways and backward flight [Prev 13]. 17. Spot turns. [Prev 14]. 18. Vortex ring & Hover OGE. [Prev 15]. 19. Simulated Engine-off Landing [Prev 16]. 20. Advanced autorotations [Prev 17]. 21. Forced practice landings [Prev 18]. 22. Steep turns [Prev 19]. 25b. Navigation at low level [Prev 22]. 25c. Radio navigation [Prev 22]. 26. Advanced Take-off & Landing [Prev 23]. 27. Sloping ground [Prev 24]. 28. Limited power [Prev 25]. 29. Confined Areas [Prev 26]. 31a. Night Flying [if required]. 31b. Night Flying Cross Country [if required]. 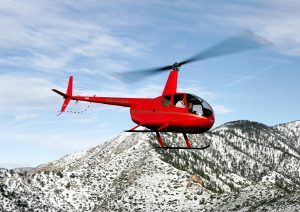 Why choose Moorgoods Helicopters Ltd for helicopter training. Location: Based in Cornwall, close to main arterial roads allowing easy access from devon and Cornwall. Cornwallis low in aircraft traffic areas of South West. Qualification Provided: Private pilots Licence and ratings for Helicopters and Ground examinations, all approved by the Civil Aviation Authority. Facilities: We own all our facilities so we are not reliant on othere individuals or organisations, We have no landing fees. Complete Course: We are able to offer a complete helicopter One to One Student to Instuctor training. Course including the flying and ground subjects training plus the ground subject examinations, all on site. Quality of Provision: Profesionally presented by ex-military instructor to standards set and approved by the Civil Aviation Authority [CAA]. Our Chief Pilot and Instructor is ex-military [RAF] so understands the ex-militatry student and able to deliver a professional course. Our Helicopter Operation is monitored by the CAA under our Air Operators certificate [AOC]. Helicopter Type: The helicopter we operate [Hughes/Schweizer 269C] was chosen for its utility qualities together with its forgiving and robust nature making an ideal training aircraft. Whilst it is slightly more expensive to operate than othere types used for training, this type is highly respected throughout the world. We also operate the Robinson R44 Raven II. Flexibility: Our helicopter, briefing rooms and offices and our residential property are all contained within our St Breward site. Our Chief Pilot and Instructor is able to deliver training at short notice to suit the student. Cost of Provision: Fair, realistic commercial prices that are publicised on our website. Method of Provision: Using a helicopter for flying training that is maintained to the highest level possible since operated and is to the highest CAA standards of operation, ie an Air Operators Certificate [AOC] Written Ground Subject course notes plus practise examinations test papers available for distance learning. MOD Approval: We are approved by MOD to provide training under their Enhanced Learning Credit (ELC) scheme. See reference letter from CPOET [ME]Ironside. Training with Kevin Foster at Moorgoods Helicopters. Before starting on a course of training with the aim of getting a PPL(H) I visited three other training providers, some which were several hundred miles away. Whilst they all had impressive facilities with multiple aircraft and instructors, the students were all too often a means for the instructors to reach their own personal goals and they didn’t have the passion for instructing. The difference with Moorgoods is the added value you get from both Kevins time and enthusiasm in wanting to pass on his wealth of experience and knowledge by mentoring and not just training the next generation of pilots. Kevin does not need to be an instructor, he chooses to be one. Add this to the fact that the training is conducted over the Cornish countryside from Bodmin Airfield, which is itself excellent for training, means I have no regrets in my decision to train with him and look forward to progressing further. Moorgoods helicopters has provided professional and focused flying training during the past 9 months. This training has been consistently well delivered and the ready availability of the aircraft has been a major enabler to training continuity. The flexibility of the pilot instructor has also been a bonus meaning that he is able to fit in emergent commitments with short notice training requests without any problems. 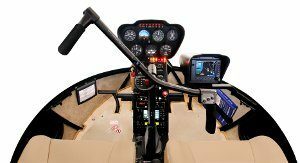 Finally the standard of ground instruction also mirrors that of the flying training with comprehensive study notes and reference material provided. Overall Moorgoods has been a totally proficient and effective training provider. As the sole PPL(H) training organisation in the whole of Cornwall Moorgoods is ideally placed to provide such training in the South West. The ease of commute to the training base is such that potential trainees would be equally well served from both the Cornwall and Devon counties (encompassing the number of military bases within) The aircraft is of a type that is commonly encountered on the civilian flying circuit thereby reducing possible future overheads of qualification to new aircraft types. The military background of the chief instructor is clearly evident in the consistency and professionalism of training, something that is sadly lacking in other training establishments. I can personally attest to such attributes having been a student for the past 9 months and I am more than content with the training provided by Moorgoods Helicopters. I have recently taken part in a half hour introductory Helicopter lesson with Moorgoods Helicopters Ltd, using my ELC. The lesson comprised of an on-site theory lesson detailing the basic construction and operation of the craft and dynamics and interaction of all the controlling devices. It also covered the future possibilities as a pilot and the possibilities of becoming an instructor as an avenue to gain experience and hours before taking the next level to commercial status. I felt that the level of information given was pitched at the right level in a relaxed environment and on a one-to-one basis. The practical session incorporated a full rundown of pre-flight checks and cockpit instrumental and pre-takeoff running checks. The in-flight session, taken place at Bodmin Airfield, covered all the direction controls and gave me as a potential pilot, a fantastic hands-on experience. The Moorgoods Helicopters Ltd would be an ideal learning facility due to it’s location (1hr from HMNB Devonport) removing the need for accommodation. The student is always kept appraised of weather conditions and therefore the ability to carry out practical flying thus providing a flexible learning environment.